Ivan’s business experience spans over 30 years with work experience in the manufacturing sector, hospitality and services industries, covering primarily Quality, Operations and Human Resource Management and Development. He is a Henley MBA graduate. Ivan started his working career at Foster Clark Products where he occupied various positions in Quality and Operations and was instrumental in the setting up of one of the company’s factories producing sauces, fruit jams and food condiments. He moved on to Playmobil after almost twenty-five years, to head the HR Department. 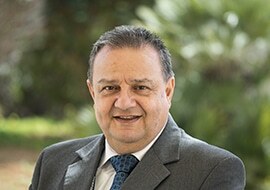 During this period of his career he worked closely with MCAST, the Malta Chamber of Commerce Enterprise and Industry, serving on the Business education Committee, later the HR Committee, MEA and other organisations including the two major trade unions. He joined Palm City, Libya (part of the Corinthia Group) in 2014, heading the HR Department there, before moving to Medavia to head the HR and Corporate Communications department, a position he occupies to date. Ivan has been a speaker in various fora and panel discussions and also served on disciplinary boards of both public and private companies as an independent member. He was an elected member on the Board of FHRD and served both as Board member and as president until 2015. Ivan is an elected member on the Council of the Malta Employers Association (MEA) and member of the HR Committee of the Malta Chamber of Commerce Enterprise and Industry.